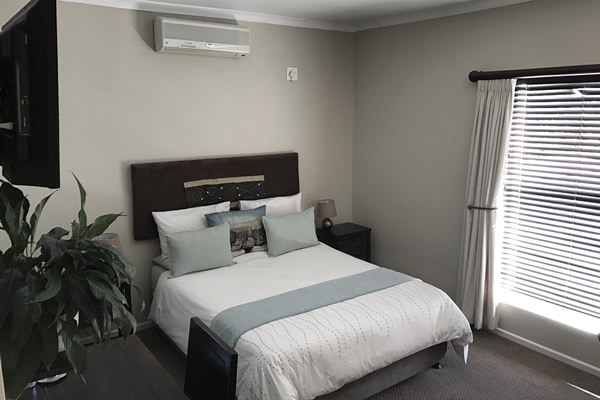 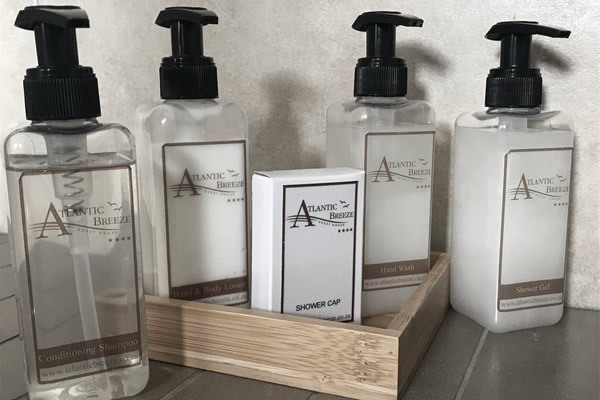 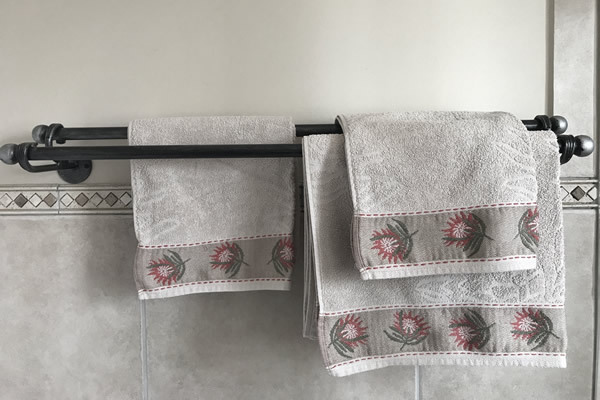 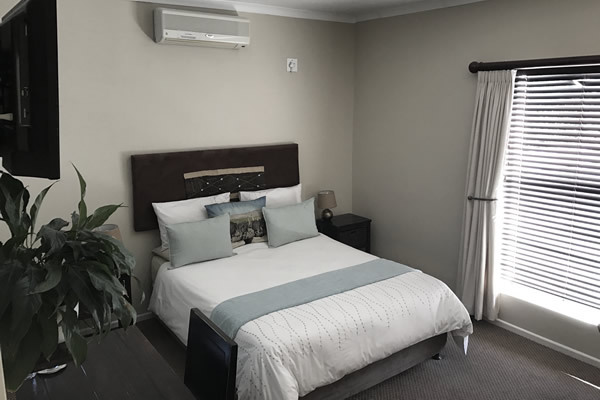 Atlantic Breeze Guest House rooms are all well-appointed for your every comfort, creating a "home away from home" experience. 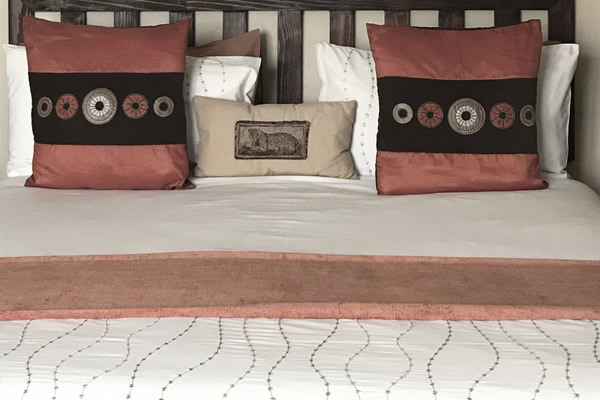 Atlantic Breeze Guest House is decorated in an elegant modern African style, offering the ultimate comfort, with bedrooms named after African animals and all having luxury en-suite bathrooms, satellite and local TV channels, air-conditioning, a safe, a fan, a hair-dryer, a digital alarm radio, a hospitality tray and all the comforts you require. 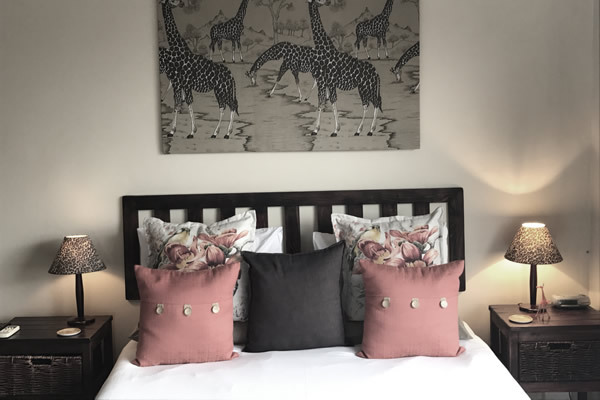 The luxury Giraffe room is spacious and airy, has a Queen-sized bed and a generous full en-suite. 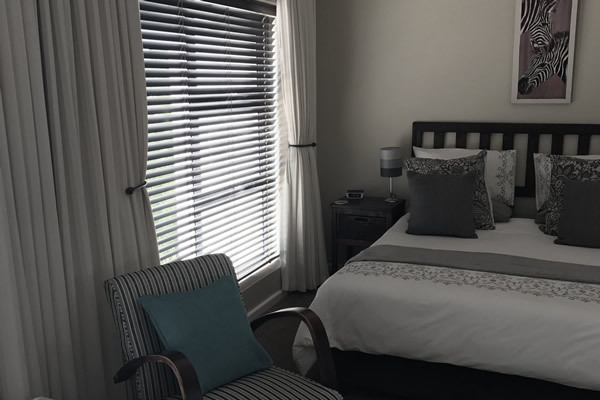 This room is on the first floor and suitable for an additional bed if required – an ideal room for a family! 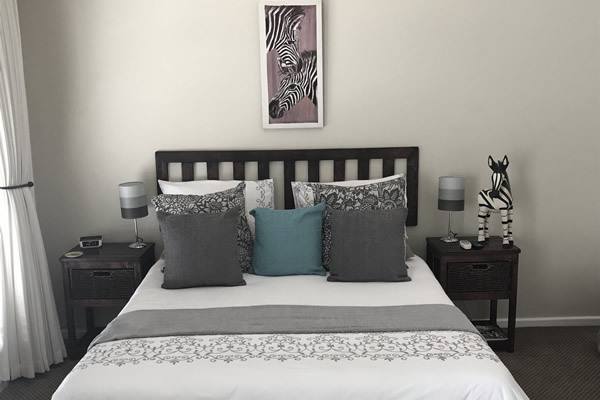 The luxury Zebra room is lovely and spacious, with a Queen bed plus a 3 quarter bed - ideal for a family or for those that prefer plenty of space. 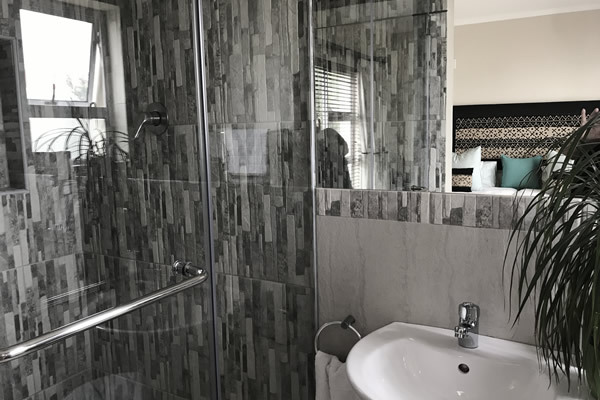 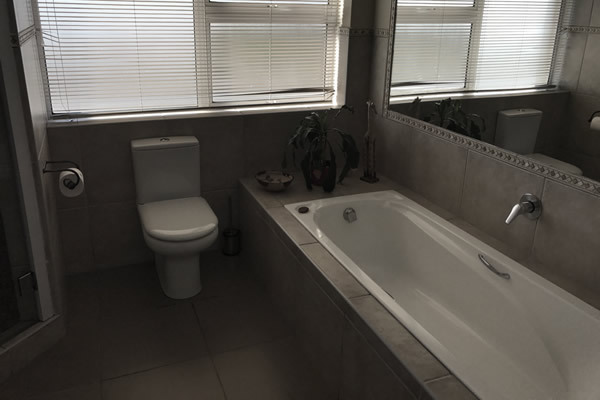 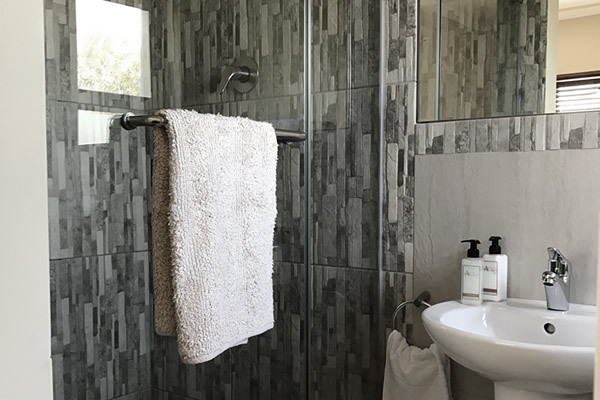 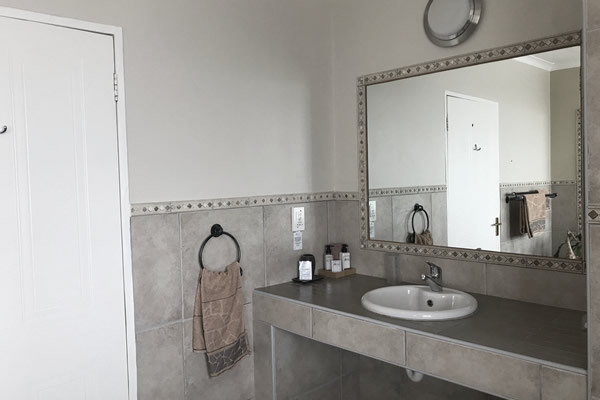 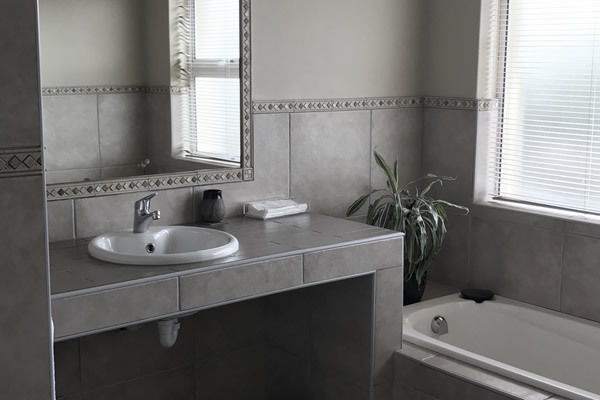 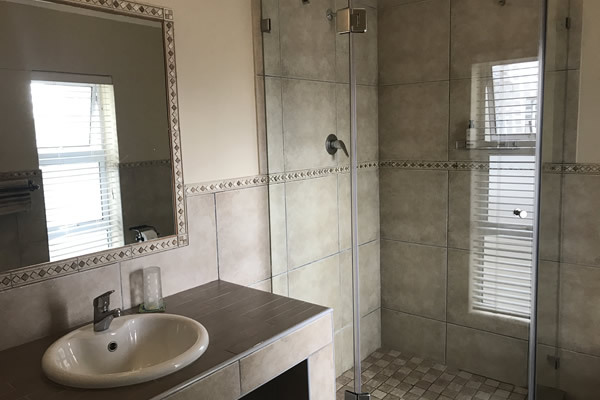 You can enjoy a full bathroom en-suite facility. 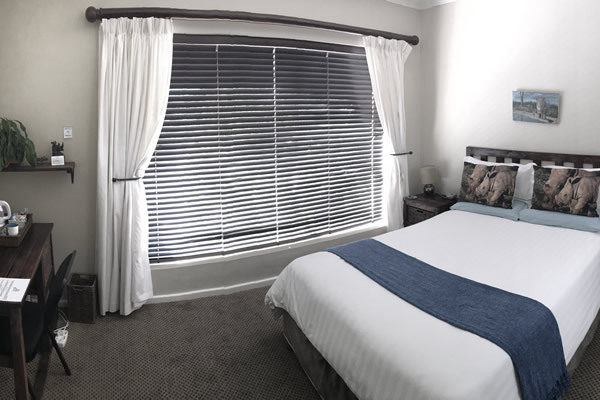 This room is on the first floor, with a double aspect looking out to the front of Atlantic Breeze. 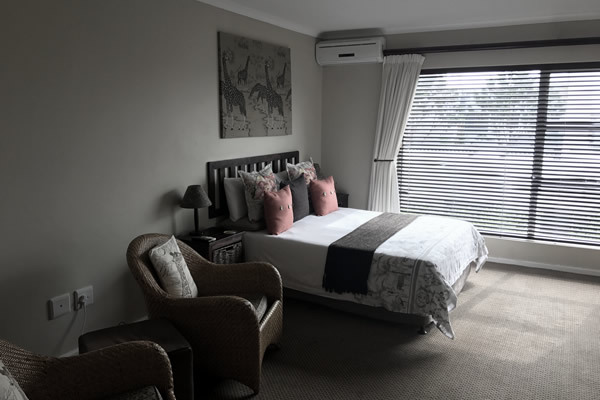 Our Lion room is a large Queen-bedded room with en-suite facilities found on the first floor. 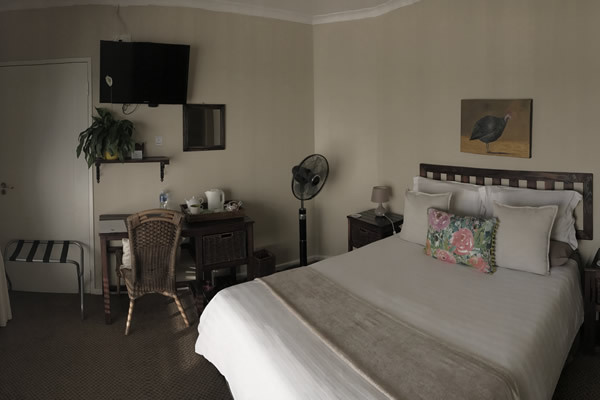 This room comes with a side garden view and many of the room comforts you would expect. 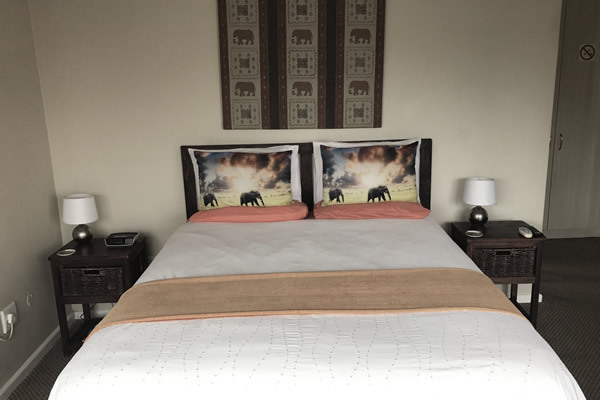 The luxury Hippo room is a lovely, spacious twin-bedded room with an en-suite shower facility. 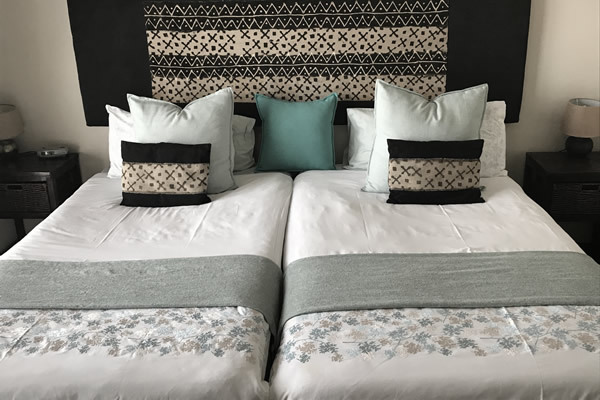 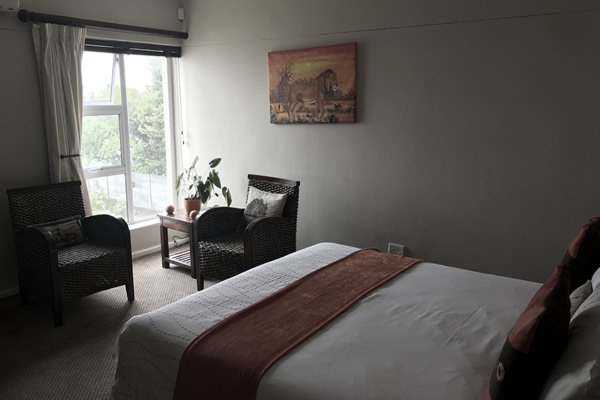 This room is on the first floor and would be suitable to reserve as a 2 room suite by choosing the Ostrich room as well, its immediate neighbour. 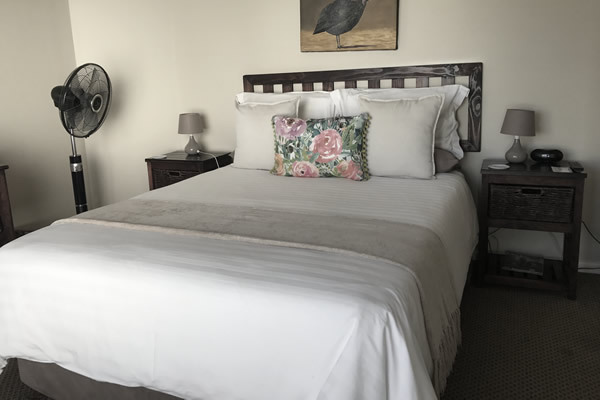 The luxury Ostrich room is a lovely, spacious queen-bedded room with generous full en-suite shower facility and includes many of your other room comforts. 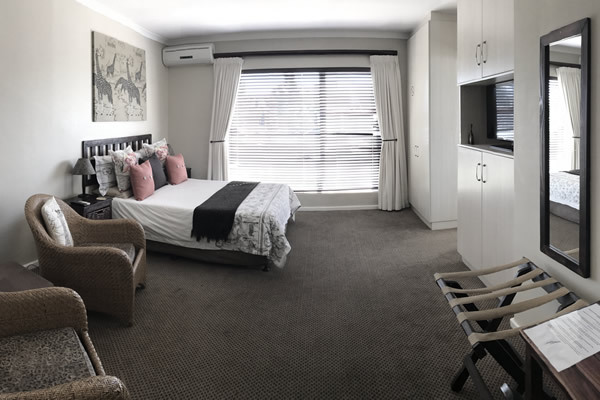 This room is situated on the first floor with pool & terrace views. 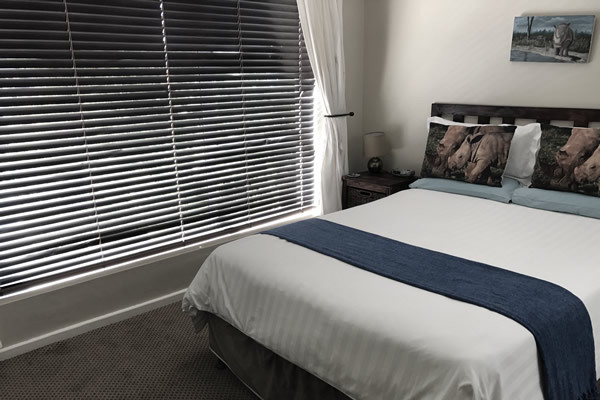 The standard Rhino room has a double bed with full shower room en-suite facilities and includes many of your other room comforts. 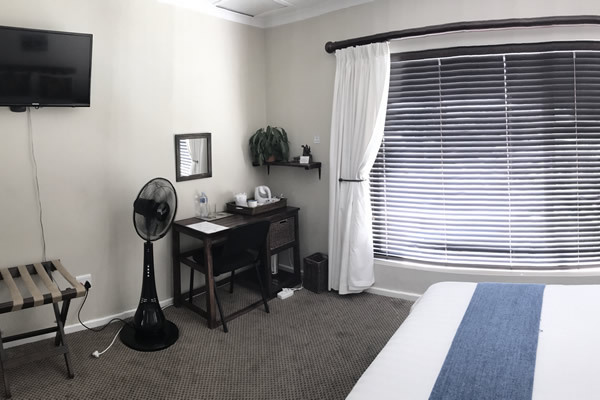 This room is on the first floor, looking to the front of the Guest House. 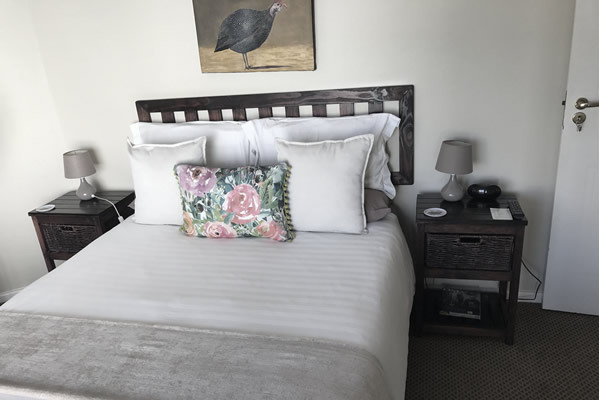 The standard Guinea Fowl room is a double-bedded room with full en-suite shower room. 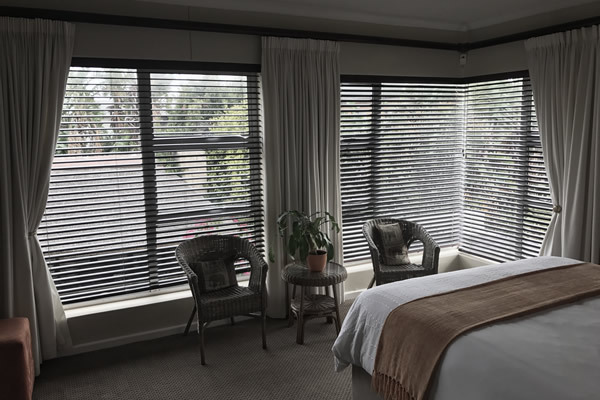 This room is on the first floor and is well appointed with a side garden view. 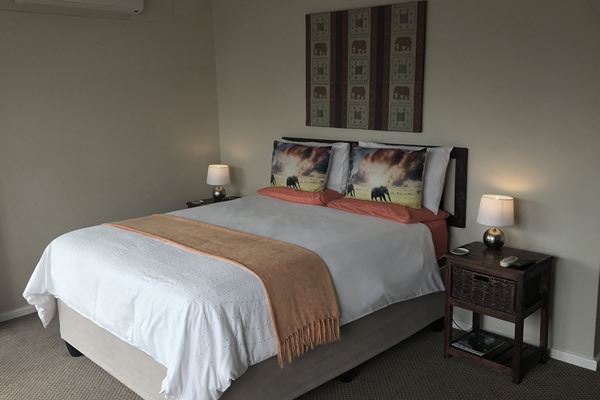 The luxury Elephant room is a lovely, sunny room – full of light, with a Queen-sized bed and a generous en-suite shower facility. 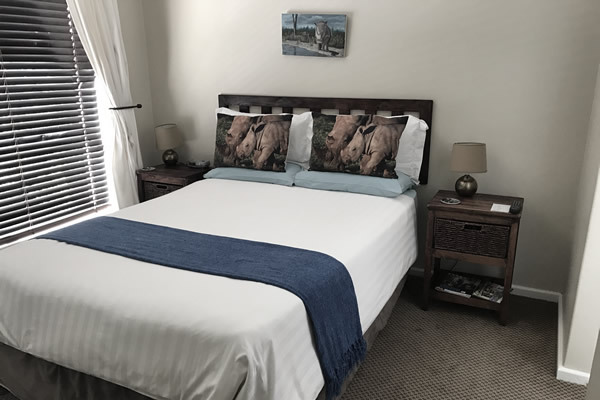 Situated on the first floor, this room has a double aspect with large windows overlooking the pool and thatched Lapa. 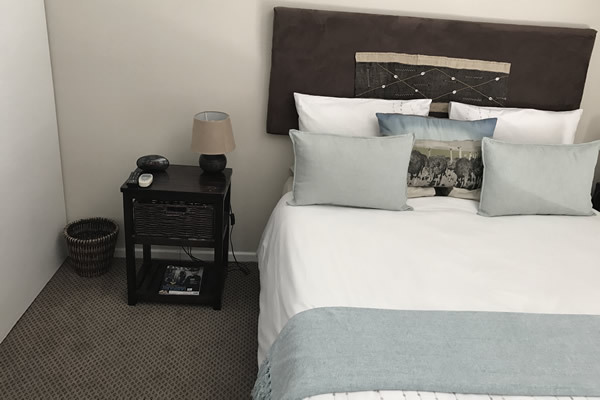 Indulge yourself with our personally prepared breakfasts, there is plenty to choose from!